AdSmart Context, NBCUniversal’s contextual alignment platform for linear TV, uses proprietary artificial intelligence to identify all of the contextual moments that match your brand’s message. The platform ensures not just that your brand’s advertising is aligned with the right show but that it runs adjacent to highly relevant scenes across our national TV programming. This means your message reaches audiences at scale within the NBCU shows they love and through an organic viewing experience that keeps them engaged with your brand. 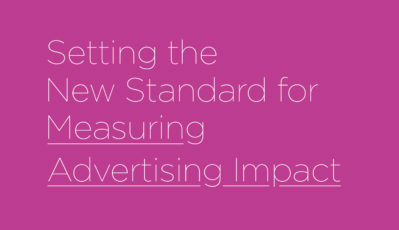 As part of our ongoing commitment to improve consumer experiences and help brands build meaningful connections through those experiences, we built AdSmart Context to drive significant lift across key brand metrics: brand recall, ad recall, and ad favorability. We’re running a few contextually aligned campaigns now. Check back soon for results! The platform ingests creative closed captioning (CC), scripts, freeform descriptors, brand briefs and other brand ad data sets. The platform regularly aggregates closed captioning, scripts and metadata for upcoming NBCU episodes. Using machine learning and proprietary emotional algorithms, the platform identifies the best positive sentiment matches across the portfolio and generates a contextually optimized media plan.